We know that everybody in the world wish to be liked by everyone around him. The outlook of someone matters a lot in making him loveable and attractive for people. The looks become good with good dress and clean as well. There needs to be someone looking after the clothes and cleaning them as well. Even if you don’t have then don’t worry because there are many stores providing the laundry services. We are going to discuss some of the best laundry services in America. You can try them for sure and have good results at the end. Suds America Laundromat. One of the finest and oldest store providing the laundry services to the people since 1991. You can easily find them at 2045 Marshall Ave, St Paul, MN 55104, USA. They are in the field of laundry for more than 25 years now. The services of laundry and tanning are available on this store. The prices of this store are relatively lower than those of the competitors and providing the services of laundry and tanning at same time. The service is very friendly and gives a clean and environment to the people. The best thing about them is that they are open 7 days and provide fast service to the clients. You don’t even need to visit the store as they are offering drip off services to the clients. If you plan to wait there while the cleaning than they are having free wifi and other arcade games to make sure you spend some quality time there. The prices of the laundry are given on the website. They are a good choice for everyone if you are looking for good and clean clothes. The reviews of the people around the store are really good and encouraging and make them the best store for the laundry service. This is another good name as far as laundry services are concerned. You can easily find them at 2781 Hamilton St, Hyattsville, MD 20782, USA. They are dedicated in providing the services of washing and drying to the clients. They are also serving the commercial units and dealing the bulk orders very beautifully. They clean your clothes in four simple steps. You need to place the order on their store and then an agent of the store will visit you and pick up the clothes in a clean bag. Then they will wash the clothes and the agent will then again deliver the clothes at your doorstep. What else can we expect from a laundry service? They are providing customize washing services and the drying is very environment friendly as well because they try to use very less water during the washing. They are also serving the student living in the hostels which is very good and makes the work easy for the students as they even don’t have to visit the store for washing. You can get discount as well from them by placing bulk order or if you are a senior citizen even then they are offering some discount offers to facilitate you. They are indeed a good choice for washing and drying. They are located in Jersey City and providing some of the best services to the clients. You can find them at 123 Danforth Ave, Jersey City, NJ 07305, USA. 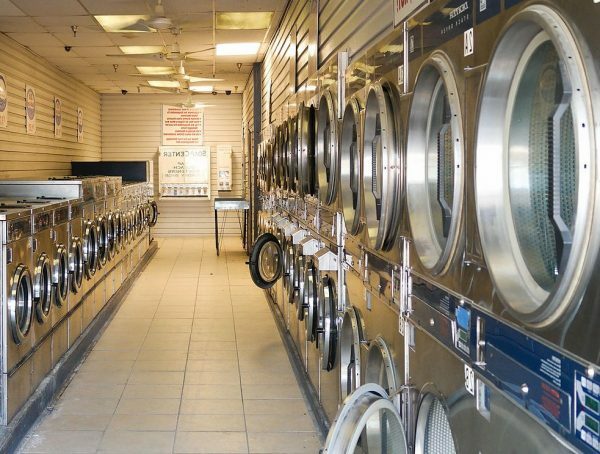 They are known as the cheapest and the best store in the store for laundry services. They are providing state of the art facilities to the customer with pick and drop services of the clothes as well. The store also offer same day wash and fold services to their clients. The customer service of this store is great and their staff is very friendly. The service is open from Monday to Friday 24/7. They are having the latest technology to handle all the orders of all sorts at one time. You can place the order online and leave the rest on them. Even if you wish to use their washing system they welcome you with a smile and offer free soaps and detergents as well. They are also offering discounts to people in Military. If you wish to stay there during the washing they will make sure that your time is spent enjoying their facilities of free wifi and coffee as well. Free soap is also provided and the HDTV is also available to spend the time in the store during the washing. They are indeed a good choice if you are looking for a good place to clean and dry your clothes on same day. As the name suggests they are committed to Wash America. You can easily find them at 2759 Story Rd, San Jose, CA 95127, USA. The store is open 24 hours and 7 days a week. They are quite experienced in their field and are working since 1987. 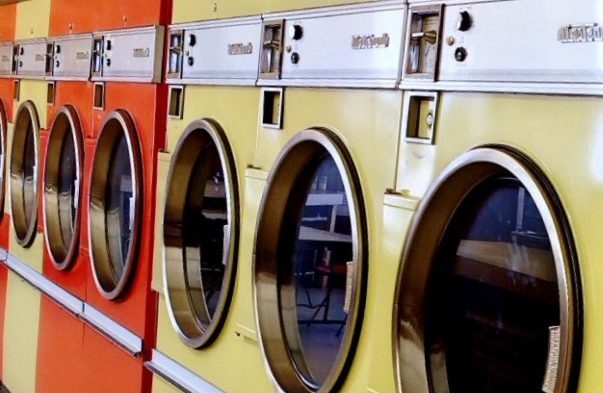 This place is perfect for the people who are looking to have the best laundry services in the town. Their basic motto is to make sure that you get clean clothes from their shop. Their services are the best and provide a very friendly environment to the customers. They are having a wide quantity of washers and dryers ready to complete your needs and give you clean results. They have the biggest dryers to complete bulk orders as well. Their environment and best technology makes them unique from all the other shops in the country. Do visit them and you will have a good opinion about them afterwards. They are a good choice for people in San Jose. If you are looking to get good and clean clothes do visit them for sure. Keeping your clothes and all the laundry of the house is a very good thing and shows that your personality is good and neat. You must have tried these laundry services before as well. What are your experiences with these mentioned shops? If you are familiar with some other good laundry services providers then do mention them here and we will add it to our audience as well. This entry was posted in Bussiness on November 19, 2018 by Tom.